تتحفنا دائما شركة Rovio بالعابها الاكثر من رائعة والمميزه مثل لعبة الطيور الغاضبه Angry Birds وبقية العابها الشهيره ومؤخراً قامت باطلاق لعبة كرة القدم الرائعه Angry Birds Goal . والجدير بالذكر ان لعبة Angry Birds Goal لم تصدر الا لنضام اندرويد فقط حتى الان كما انها غير متاحه للتحميل من google play في العديد من الدول العربية لذلك قمنا بتوفيرها للتحميل بصيغة apk ايضاً. Join a Bird Island soccer team, and manage every aspect of your career to carry your team to the top! You are the newest aquisition of soccer team, the Mighty Feathers. Managed by none other than Mighty Eagle, The Mighty Feathers have fallen in the league, and they’re looking for fresh talent to reinvigorate their game. That’s where you come in. Take control of every aspect of your career as the brightest upcoming soccer star on Bird Island, and lead your new team to victory! Dribble, shoot, pass, and score to lead your team to victory – all with one finger. Turn the table on the pigs in game-deciding events – Beat the keeper for a goal, pass to teammates for an assist, and out maneuver your opponents for the win! Improve your pace, power, technique and defence the old fashioned way – by training. No one said it would be easy. Complete a few drills and you’ll be outplaying your piggy opponents in no time! Of, course, hiring a trainer helps as well. Manage your relationships with your team, and your fans as you traverse the delicate minefield of life in the spotlight. Master post-game interviews like a PR pro, and make important decisions to keep everyone happy. Should you really be hitting the club the night before a big game? Nothing makes people happy like winning games. Win more to increase your star rating and improve your relationships with your boss, team, and fans, and earn more money. Easy. Buy pretty new shoes to compliment your outfits and boost your stats. Just remember to match them with your bag or you will look totally ridiculous and everyone will laugh at you. 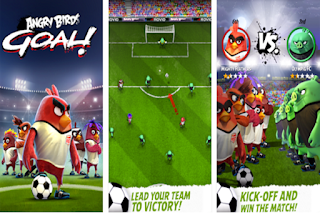 – Super addictive, exciting simulation of soccer on Bird Island! 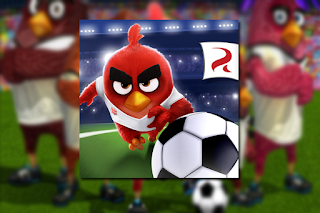 – Take part in games with intuitive touch controls for dribbling, shooting, and passing. – Experience the highs and lows of your new celebrity life as a bird soccer player. – Hire agents, trainers, learn new skills, and develop your talent! – Play mini-games to pick up some extra snoutlings. Those shoes aren’t going to pay for themselves.